Waddle Home is a game about life as a benevolent alien who loves saving penguins and solving puzzles. 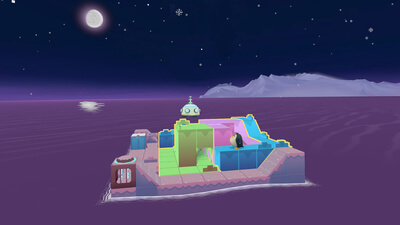 Grab your Vive or PSVR and guide penguins through a snowy world filled with traps, guards, and ice, and lead them back home to the Rescue Ship. Bop blocks and toggle switches to help them escape nasty traps and dodge those pesky robot guards. Save the penguins as fast as you can, and collect all three eggs in each level to get a high score! 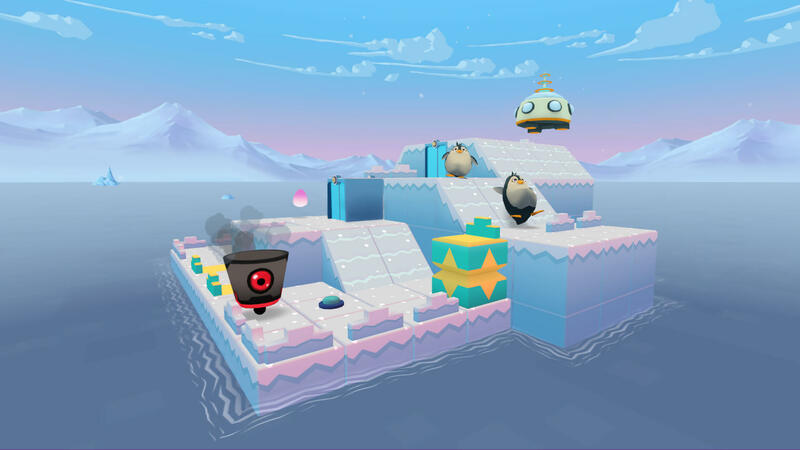 Waddle Home is a below par puzzle game at best, and the addition of VR fails to change that. The repetitive gameplay, simplicity of the puzzles, and the sheer lack of content shows that this game was rushed out for launch. P-p-p-p-pick up something better for your PlayStation VR headset. 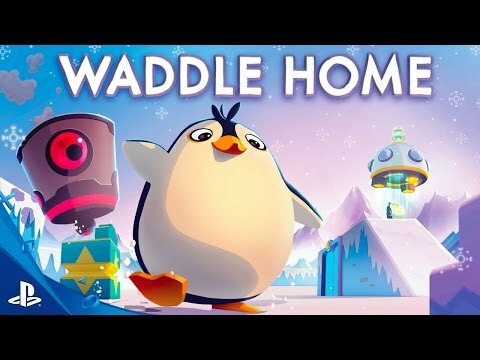 Waddle Home is a game designed for smart phones, but released on the PSVR. The interesting attributes like multiple moving characters, traps, and floors don’t counter balance an extremely short game with frustrating controls and small maps that players will accidentally solve. If you have a Samsung Gear VR then it's a fun puzzle game that is probably worth your time. If you have a PSVR, wait for a better puzzle game to come along.